Natural gas shipped in the Texas to Mexico pipeline will help lower Mexico’s high commercial electricity rates. 2b1stconsulting.com photo. 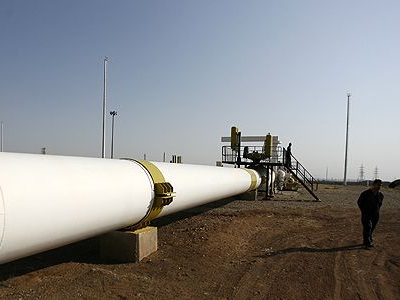 Mexico’s state-owned petroleum company Pemex has signed an agreement giving two investment funds a 45 per cent stake in a Texas to Mexico natural gas pipeline in exchange for $900 million. The Los Ramones pipeline will transport natural gas from Texas to Mexico and is intended to facilitate imports of cheap U.S. gas and lower Mexico’s high commercial electricity rates. Mexico built the first part of the Los Ramones project, from the U.S. border to the northern Mexico village of Los Ramones in Nuevo Leon state. But Pemex has been battered by budget cuts and low oil prices and sought help to finish the line. Pemex said Thursday that the second stage extending the pipeline to the central city of Guanajuato will be built with the investment from BlackRock and First Reserve.